Last week was an exciting week. There were many whispered conversations between Karen, my wife, and Jake, my four year old son. These conversations were not necessarily secret because Jake hasn’t really perfected the art of whispering yet. Nevertheless things were at fever pitch. 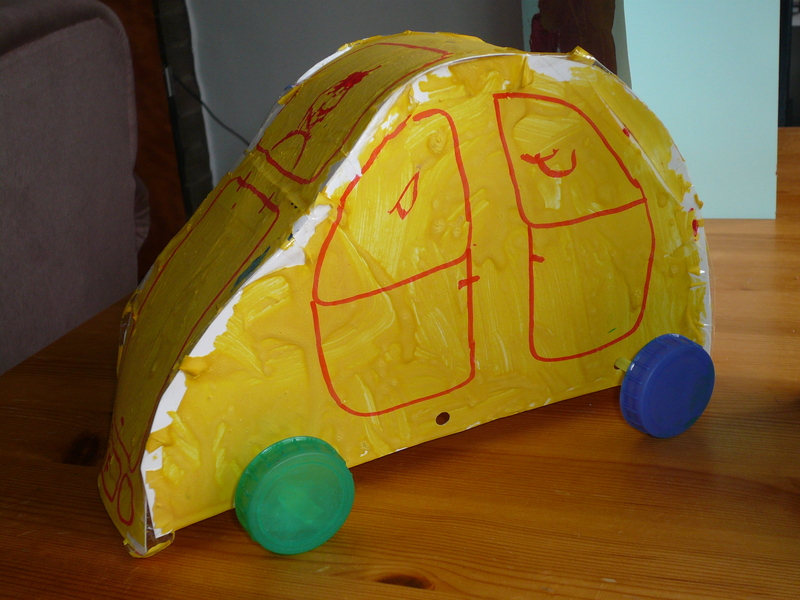 Just why did he need to take in four milk carton tops into nursery? And why was I getting knowing looks from his carers? Clearly something was afoot, otherwise Jake wouldn’t have been desperate to go into nursery on Thursday afternoon despite having to go and see the doctor that morning with his usual breathing troubles (more on this at a later date). The answer when it came was so very touching. 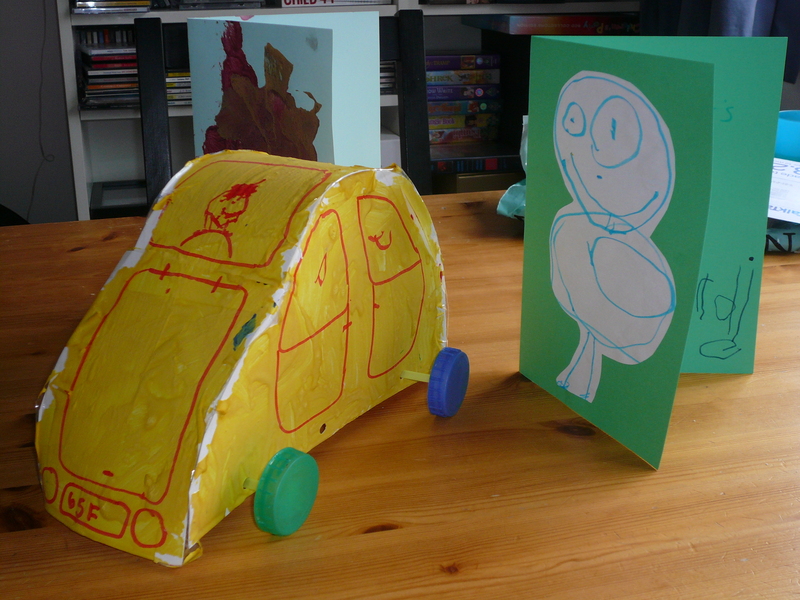 Jake had made me a car for Father’s Day. I think it’s a great car. It was made by Jake and he put so much work into it. Yes he’s brought pictures home for me before, but this felt different somehow. It was more deliberate and another step in his development, and our relationship. I’m noticing the same with Sam (my other son, who has just turned two), who is at that amazing stage where he is noticeably achieving new things everyday: new words, new shelves reached, more sophisticated play, and more of a mind of his own. Our relationship is developing all the time too, but in a different way than happened with Jake: which in itself is amazing. They are VERY different. Father’s Day felt different this year then. Not just because it was the first without my Father, but because it reflected the new things that I am experiencing with the boys. However, when the festivities were over we went off to the park and it became a ‘normal’ day again. But normal in the sense that everyday is different, and change is constant. Routines come and go, certainties disappear and new certainties arise. That is the essence of what I’m trying to do with this blog, reflect on change, think about how I manage it, and to celebrate old endings and new beginnings. So one thing is for sure. Father’s Day will never be the same again and I find that very exciting! Categories: My boys | Tags: boys, change, crafting, father's day, relationships | Permalink.